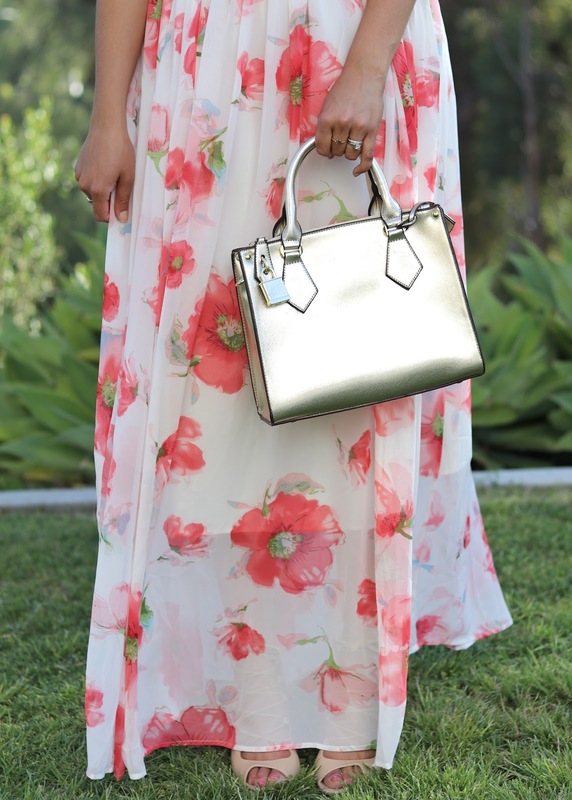 This dress from Chicwish has renewed my love for floral maxi dresses! This one in particular, tied in the off the shoulder trend which made me that much more excited. 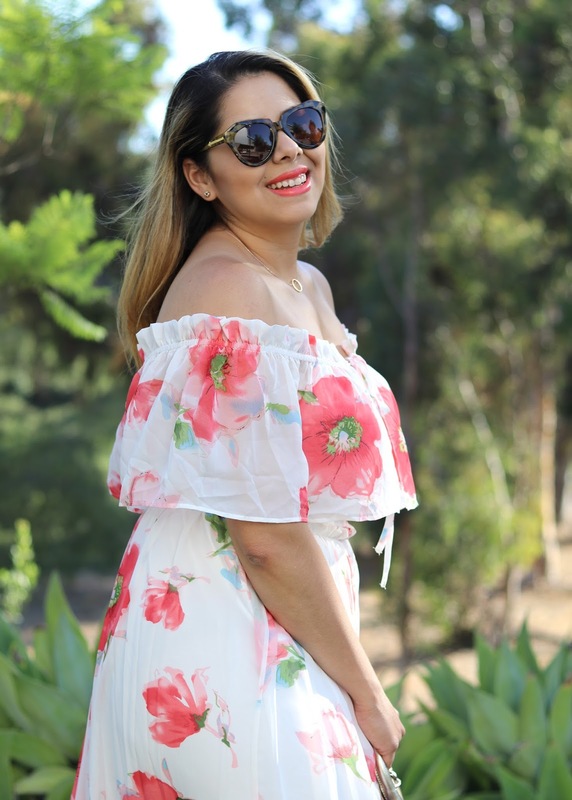 It's a dress that is perfect for brunch or even a Summer wedding. 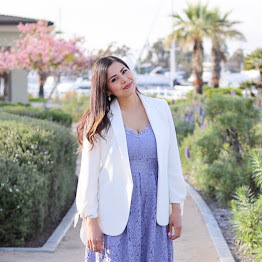 It's also perfect post-Fourth of July weekend because I ate tons of food and let's just say I appreciate that the dress is forgiving (hee hee). With that being said, it's back to reality today: work, diet and working out! Hope you all have a fantastic week! Very beautiful dress. Perfect for the summer. wow wow wow u look stunning .that dress is so pretty! xO!